Designing a site is a creative process that evolves into the finished product. Together, we need to develop the overall plan for your website so that it best represents you, your business or organization and achieves your goals for the site as well as your future plans. In this process we may try things that don't work or are impractical. That is part of learning what works. Your online presence has to reflect what people are looking for in your market. To do so, you need to be aware of the technical considerations that affect their ability to view your site content. But change is a constant and the Web has the ability to change faster than most areas of our lives. Prepare for change by planning for it as best you can. If you don't plan for site maintenance sites containing time-sensitive information will eventually stagnate. 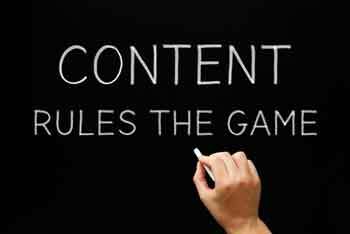 The old adage is true: content is king. Web sites should encourage access to information, not showcase someone's ability to create interesting effects with wiz-bang software (unless that is your business). You want to reach the viewer with your message and to provide engaging information that site visitors are looking for. You need to provide useful content as seen from the customer's perspective. No one watches TV for the commercials. The content should be accessible and load quickly. The site should look clean and professional. The site should be easy to navigate no matter what technology the viewer has available. Don't make site visitors work to learn about you or your products or services. Choose your content carefully and lay it out so it is inviting to read. Less is more — the use of white space around content — is a classic design concept. Most people use search engines to locate what they're looking for so you'll want to ensure your site is as search friendly as possible. This site contains additional information about website design techniques and technologies. See the Website Design index for a listing. You need to ensure that the majority of the viewers on your site are going to see your site as it was intended on all the current popular web browsers. Precise layouts are impractical on the web but significant problems with major browsers will alienate site visitors. People are accessing the Internet differently than they did before. Increasingly people are visiting sites, searching for answers and making online purchases using mobile devices. What people are looking for depends upon their circumstances and how they are viewing your site. Visibility on mobile devices has become much more important but you also want to ensure your site works for everyone else.